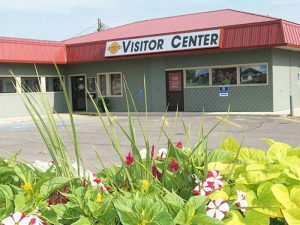 Whether you’re visiting for a few days, new to the community, or just passing through town, you’ll want to be sure to stop at the Mason City Visitor Center –located at 2021 4th Street SW.
It’s no surprise that travel is the number one reason people stop at the Mason City Visitor Center. Just last year, we welcomed more than 5,200 visitors to the Center. Our friendly team of staff and volunteers provides helpful guidance and insight into the best Mason City has to offer! From shopping and dining, to finding a place to stay and things to do; trust our local experts to point you in the right direction. Free maps and brochures are available 24/7. Are you new to our community, or recently moved back to the area and in need of a refresher? From apartment hunting to information on schools and places of worship, the Visit Mason City team is ready to assist you. Stop in and pick up a relocation packet and let us be the first ones to welcome you to Mason City! Looking for a little something to remind you of your travels? Take a piece of Mason City home with you or give a special gift to a family member or friend. We have a great selection of goodies including T-shirts, postcards, magnets, books, pins and more! Want to be a tourist in your own backyard? We can help design your itinerary, give us a call today! Looking for something to do this coming weekend? Next month? Be sure to check out our events calendar. 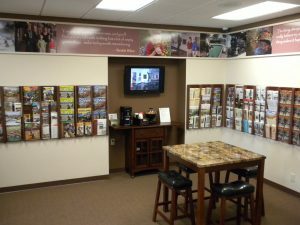 Bike trail maps, area recreation guides, regional community and attraction information, and so much more is available at the Mason City Visitor Center. Stop in and see for yourself all that Visit Mason City has to offer! 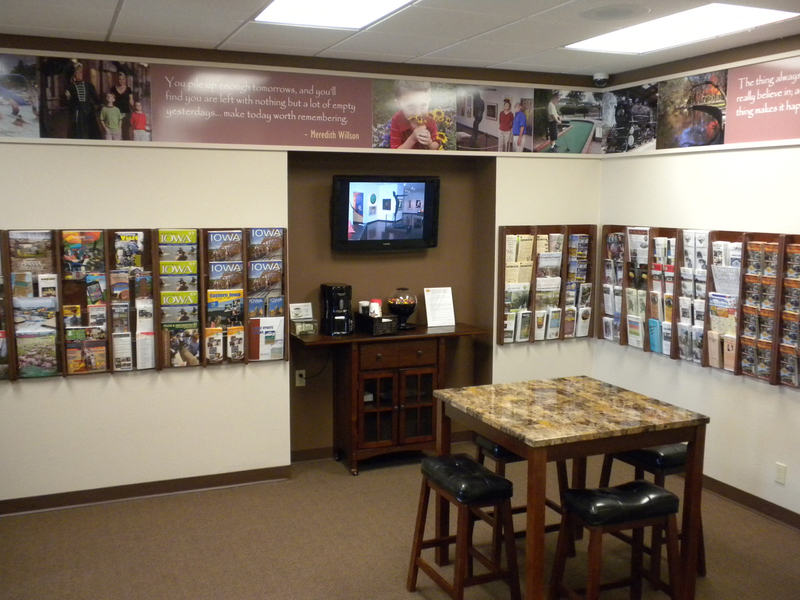 The Mason City Visitor Center is open Monday-Friday, 8AM-4:30PM. 24‐Hour Foyer provides access to brochures, maps, and event information.